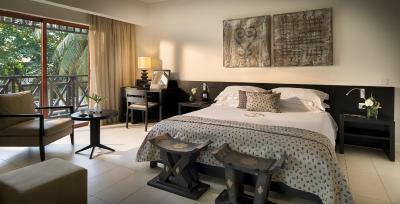 Lock in a great price for Labadi Beach Hotel – rated 8.3 by recent guests! The room was so cozy, the bed felt like fluffy clouds and the breakfast was exquisite. The location is awesome. Service in the facility was great. Staff is very helpful. Breakfast was amazing. Staff super helpful. Pool lovely - security very tight. Food is great! Large portions as well. Love the pork ribs. 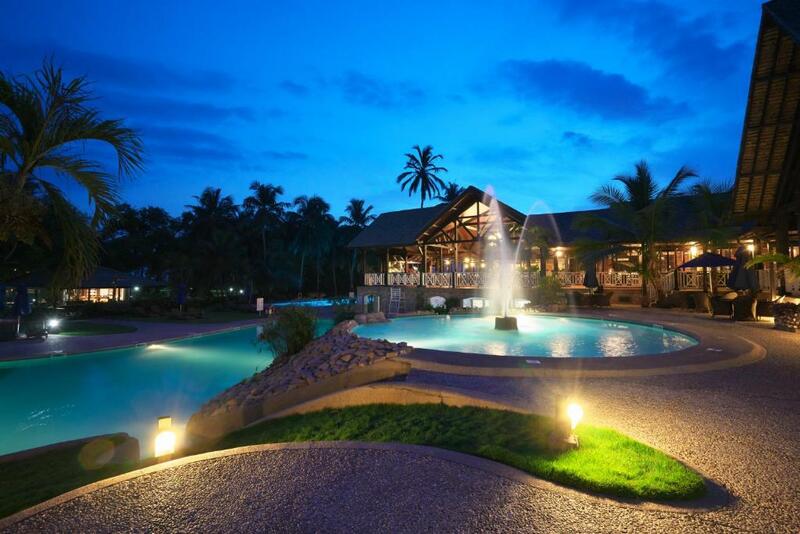 Labadi Beach Hotel This rating is a reflection of how the property compares to the industry standard when it comes to price, facilities and services available. It's based on a self-evaluation by the property. Use this rating to help choose your stay! One of our best sellers in Accra! Located on the beach front, 4.3 mi from Accra city center, Labadi Beach Hotel offers an outdoor swimming pool and air-conditioned rooms with free Wi-Fi access. Facilities include a sauna and fitness room, and massages are available. A buffet breakfast is served daily, and the on-site restaurant offers both local and international dishes. You can also relax with a drink at the hotel’s bar. There is a tour desk at Labadi Beach Hotel, where you may organize various trips in the area. The hotel provides meeting and banquet facilities and free private parking on site. Labadi is a great choice for travelers interested in beaches, relaxation and atmosphere. When would you like to stay at Labadi Beach Hotel? 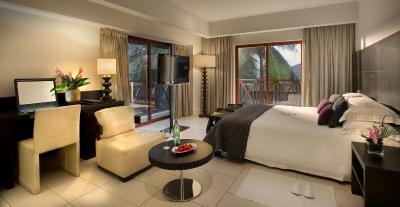 Each air-conditioned room includes free Wi-Fi access and a flat-screen TV with satellite channels. The private bathroom is fitted with both a bathtub and a separate shower. The property provides free toiletries. 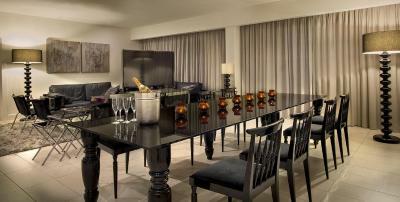 This suite has a balcony, tile/marble floor and mini-bar. The private bathroom is fitted with both a bathtub and a separate shower. The property provides free toiletries. This suite features a balcony, bathrobe and sofa. The private bathroom is fitted with both a bathtub and a separate shower. The property provides free toiletries. 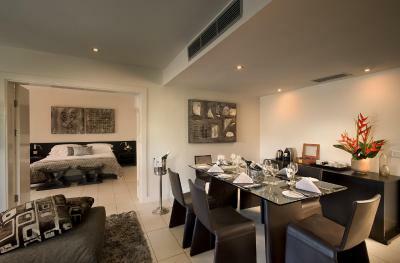 This double room features a balcony, satellite TV and mini-bar. The private bathroom is fitted with both a bathtub and a separate shower. The property provides free toiletries. 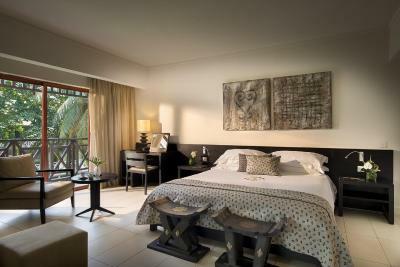 This double room has a balcony, mini-bar and tile/marble floor. The private bathroom is fitted with both a bathtub and a separate shower. The property provides free toiletries. 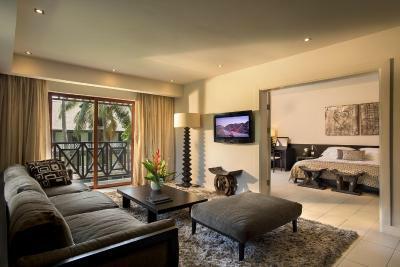 This suite features a balcony, air conditioning and seating area. The private bathroom is fitted with both a bathtub and a separate shower. The property provides free toiletries. Labadi Beach Hotel has prominent facilities among which includes,a private beach with clean white sands,two swimming pools in a secured environment,a restaurant that serves three course buffet meals, and 3 bars. An ultra-modern conference center and a spa. Hotel surroundings – This neighborhood is a great choice for travelers interested in beaches, relaxation and atmosphere – Check location Great location - show map Guests loved walking around the neighborhood! House Rules Labadi Beach Hotel takes special requests – add in the next step! Labadi Beach Hotel accepts these cards and reserves the right to temporarily hold an amount prior to arrival. Food at the hotel isn’t really nice and they don’t have a lot of variety. Also, some of the staff are quite rude. The hotel was always clean and cool. You have to call to request And iron and wait over 30 minutes until it’s delivered. I had the impression some (but not all) of the reception staff seemed a little disinterested in many respects. The concierge was excellent. In addition to that, I also changed foreign currency in the hotel and and handed over by accident more money than I exchanged. I only realised later that day. Even within 24 hours it was impossible to track down the person behind the reception I was dealing with. I had to rely on describing the gender and the timing of the event. I was repeatedly asked to provide a name which I unfortunately did not recall. I was unable to take the matter further. Staff could have been friendlier and more helpful. Service was very slow, particularly around the pool. For example, my kids left their hats at the pool one afternoon. I went back only a hour or so later and the hats were gone. All of the staff knew we were there and who we were, but no one found the hats or appeared to make any effort to check the lost and found on our behalf. Yet they were able to chase us down and find us in the restaurant to tell us we hadn't signed for a drink by the pool...just shows a lack of customer service and caring. Breakfast was very good; pools were nice. Beach was very disappointing--very dirty. At the least it would be nice if the hotel would clean up the area and sand directly in front of hotel, I didn't even let my kids walk on the beach it was so dirty. The beach bed was too dirty. Nothing else. The mosquitoes in the room and the bathroom spilled water through the shower section door leaving a lil part of the bathroom messy. I just had to clean the floor after bathing.